Making music helps people over 50 explore new horizons. If you want to learn to play a musical instrument, or if you played in school and would like to pick it up again, New Horizons International Music Association can help. 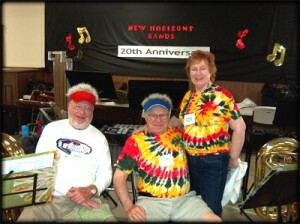 Started in 1991 at the Eastman School of Music in Rochester, New York, New Horizons helps people age 50 and older learn to play musical instruments or revive their former musical skills. Currently, it has about 7,000 members playing and singing in 182 orchestras, bands and choruses in 41 states, several Canadian provinces, and a few countries overseas.